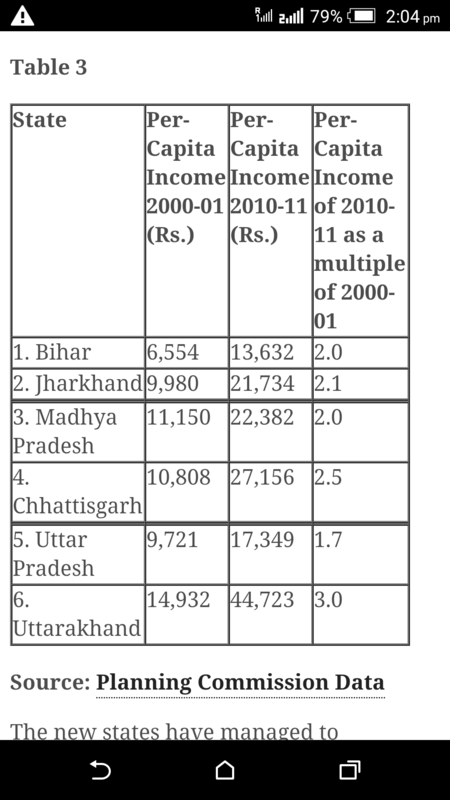 The very question that, what did Jharkhand achieve post bifurcation of Bihar? is sufficient to elicit passionate replies. I, in my personal capacity, shall try to put forth a reasonable answer. 1. GSDP (Gross State Domestic Product). 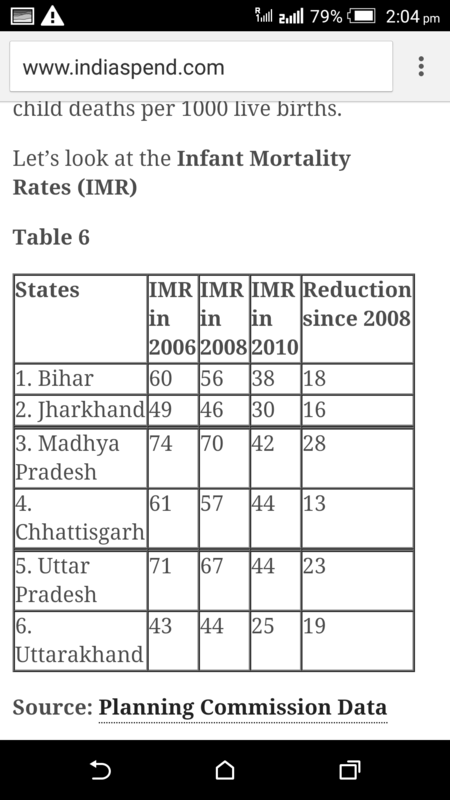 Note: Growth before & after 2000; Jharkhand, Uttarakhand, Chhatisgarh & their mother states. 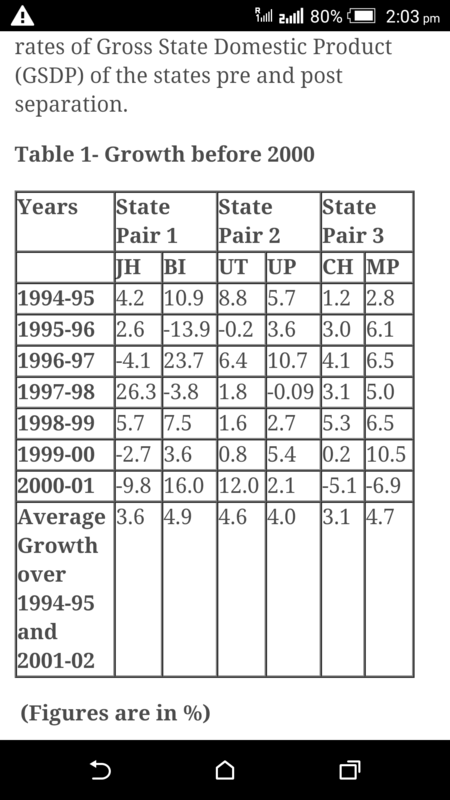 Prior to bifurcation both Bihar & Jharkhand (then S.Bihar) were perennial laggards in economic growth. I firmly espouse the view that, both regions are diametrically opposite in their economic strengths, Bihar is an agrarian economy whereas; industries are the mainstay of Jharkhand. This divide manifests as slower growth, a case where government is not able to construct a comprehensive policy for both regions. Once bifurcation was complete, governments in both states knew where to concentrate their energies. The result: both states grew satisfactorily over the next decade. If it weren’t for political turbulence in Jharkhand ( nine governments in first fourteen years) then, surely the state would’ve fared better. Small states are easy to manage and the lassiez faire theory of economics (just a fancy name for trickle-down effect) works efficiently here. The result is income per head grows far swiftly. Here, PCIs of both states more than doubled in the previous decade. Poverty has steadily declined in both states over the last decade. In fact, as should happen, it has begun to recede faster in Jharkhand due industrial growth. With much needed political stability finally here, poverty is surely going to abate. 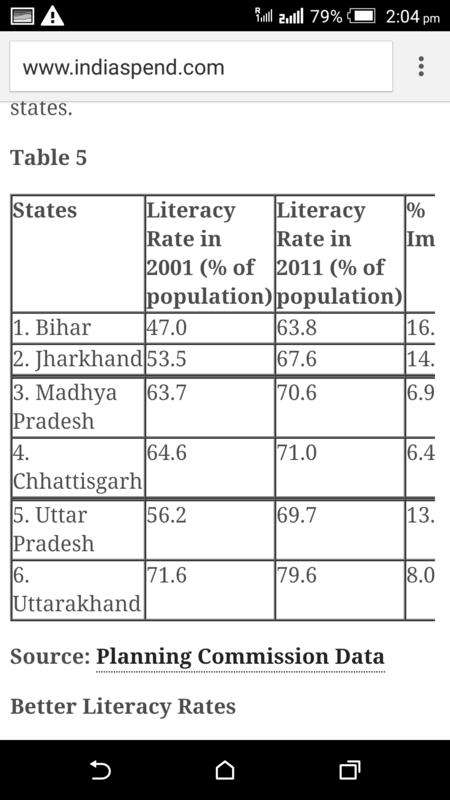 Although literacy rate has grown appreciably over the past decade, it isn’t a highly reliable parameter owing to the fact that, the very definition of what constitutes literacy is highly debatable. Also the dubious credibility of agencies involved further aggravates this situation. But, still it’s safe to assume that as of this day, there are far greater numbers of children enrolled in primary schools than ever. Surely a positive change. Infant mortality rate has largely subsided over the past decade. This also implies, better health-care facilities to women in labor. Overall health- care facilities are still far from being ubiquitous & available to all, it has improved & would surely pick up some serious pace this decade. Looking through my windowsill as I finally complete this; there are speeding cars moving past unending roads, people mingling & ebullient children jumping hither & thither (It’s nearly dusk & with that haze you can at least feel some wintry chill!). I can assure you that Jharkhand is going to live up to its destiny & we all shall be witnesses of a better & brighter future for all.